iBeacon – one of the hottest technology trends of recent times is fast becoming ubiquitous. And with the latest report from Unacast revealing that beacons are on track to hit ABI Research forecast of 400M beacons installed by 2020, this technology is definitely here to stay. 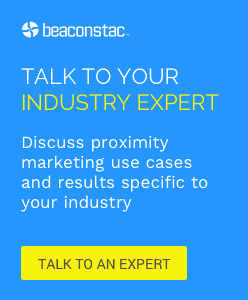 One of the most common challenges when it comes to beacons, however, is developing a beacon-enabled app. 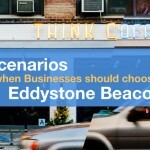 This is quite critical since beacons can’t be detected without an app. Looking at the interactions we have with developers and the keen interest they have shown in beacons and developing iBeacon apps, we are thrilled to announce our iBeacon App Development Course on Creating a Beacon-enabled Retail App for developers who want to learn the basics of how to build an iBeacon app. In this 3 part ‘Live’ online course, Kshitij Deo, our Lead iOS Developer will give you a live demo on building an iBeacon app from scratch. The course is designed to take you through the nuances of building a beacon-enabled iOS app, understanding the limitations of iBeacon technology, leveraging its strengths and finding a way to deal with issues that come up during developing a beacon app. By the end of the session, you will be ready to build an app on your own! Register to gain a lot of interesting insights, learn about common challenges and best practices for app development. I have read your whole post and I think most of the people want to do this course from online, in fact, one of my school friend did this course from Koenig Solutions. The training provides online course also.